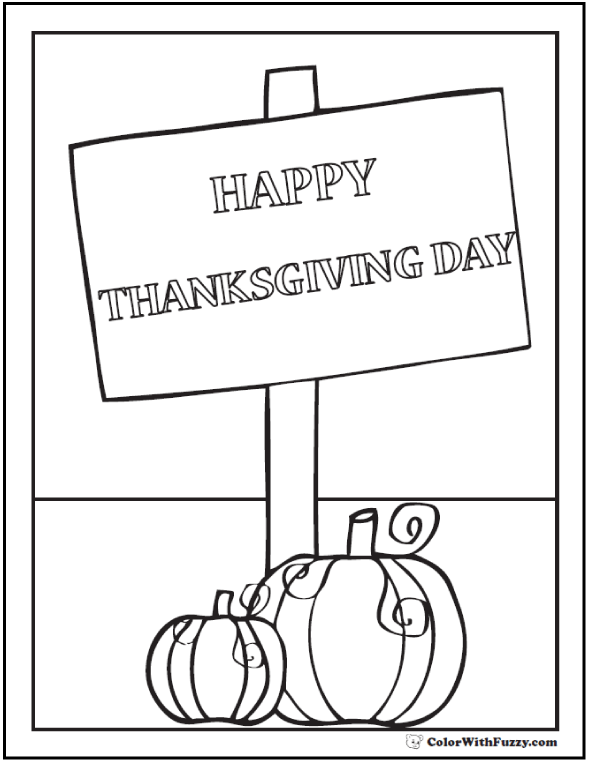 Print and color this neat Happy Thanksgiving sign below. It has pretty pumpkins for those who don't do turkeys. Print as a Thanksgiving Day card with your printer set to "booklet". Print This Happy Thanksgiving Sign.